Wilpattu National Park is the largest and oldest of its kind in Sri Lanka. 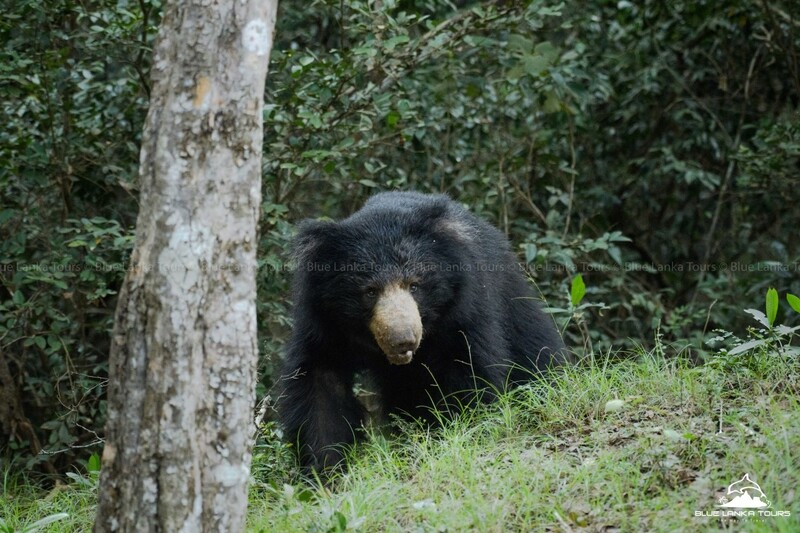 Located in the dry zone of the north western coast of the country, Wilpattu is world renowned for its leopard and sloth bear population. The highlight of the park – which gives the park its name – is the existence of several “natural lakes” – also known as ‘villus’ (sand rimmed depressions that fill up with rainwater). Throughout the park, a total of about 60 natural lakes are found. Most animals and birds use these ‘villus’ as their breeding grounds, hence wherever you spot the lakes, there is a high chance of animals being spotted around there. 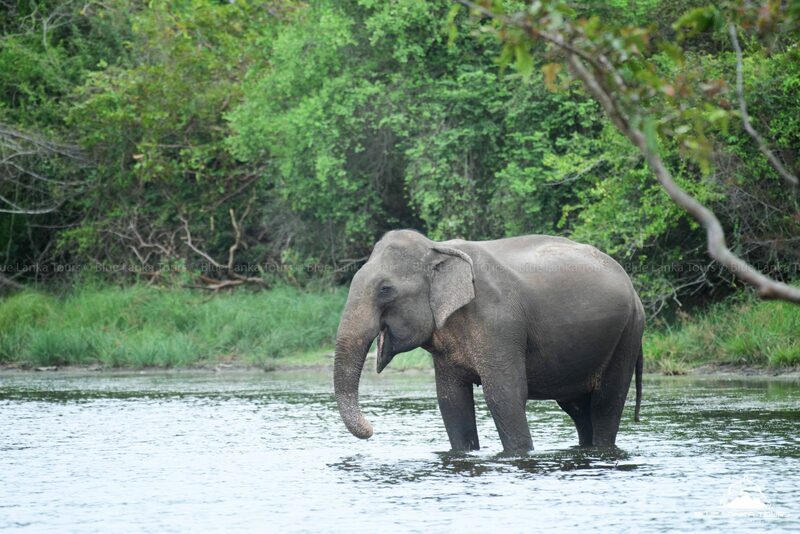 Although Wilpattu is the largest national park in Sri Lanka, it is not the most visited one. Hence the animal sighting probabilities are slightly less but on the flip side, the park has a more genuine sense of wilderness due to the fewer visitors. 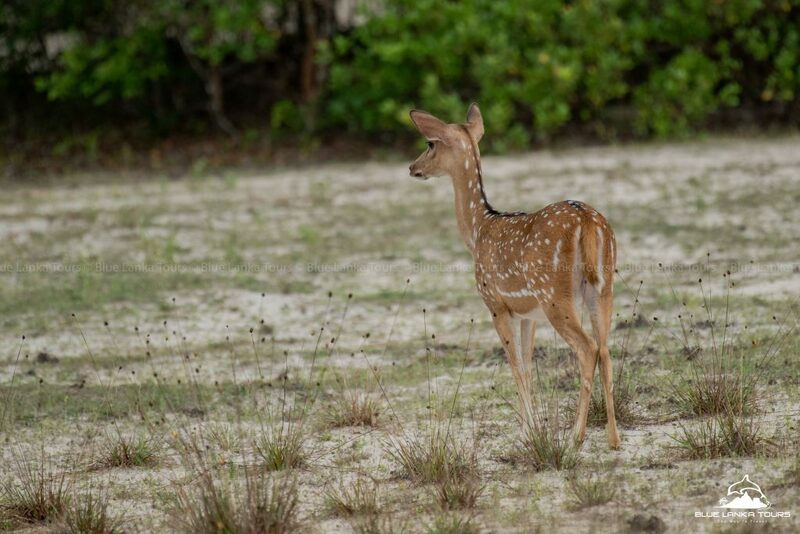 Dedicated safari goers will definitely enjoy the Wilpattu wildlife experience. The park was established in 1905 as a wildlife sanctuary and in December 1938, National Park status was awarded. Due to security reasons during the ongoing civil war, Wilpattu National Park remained closed from December 1988 to March 2003. Currently, visitor access is only limited to about 25% of the park because the remaining area is dense forestation and scrubs. In 2015, a survey was conducted by the Wilderness and Wildlife Conservation Trust to monitor the animal species. 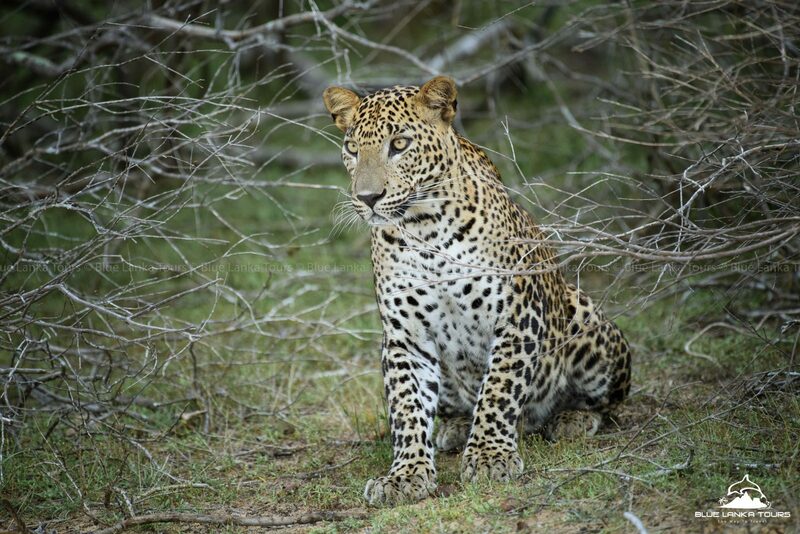 During a span of four months, 49 individual leopards were recorded and photographed. 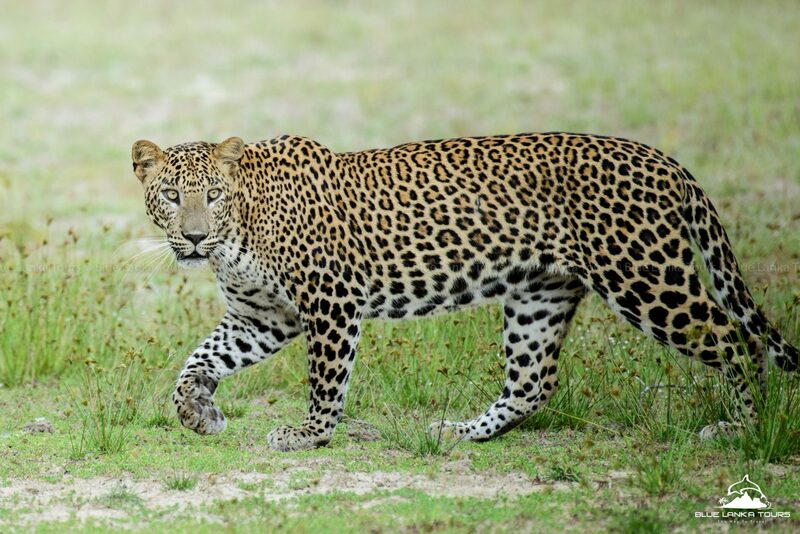 As a result, Wilpattu gained its world renowned status for its leopard population. Approximately 180km north of Colombo, Wilpattu National Park is also about 30km west of Anuradhapura and 26km north of Puttalam. Mannar is the closest city from Wilpattu. The total area of the park is 1,317 square kilometers and ranges from 0 to 152 meters above sea level. The Colombo – Puttalam highway (A3) is the best route from Colombo. Then move on to the Puttalam – Anuradhapura highway (A12) for 42 kms, after which you will see a large sign board reading “Wilpattu National Park”. Turn left at that sign board and 7kms along this road will take you to the Hunuwilagama entrance of the park. You could plan your stay at one of the popular hotels in Anuradhapura and then drive to Wilpattu for your park visit. In addition to that, Wilpattu itself has camping and other accommodation options discussed below which you might want to experience. Plenty of private safari jeeps (maximum 6 people in a jeep) are available for hire with a driver who will pick you up from your hotel in any neighboring area, drive you throughout the park and try his best to show you maximum number of wildlife species. These game drives usually happen in two sessions – morning and evening. Morning sessions begin at 5.00 a.m. (depending on pick up point) and evening sessions begin at about 2.30-3.00 p.m. Intense wildlife explorers can choose an all day long safari package to increase their sighting chances and get the most of the wilderness experience. During the jeep safari, visitors are not allowed to get off the jeep and walk on the tracks of wild animals. Doing so means they will be exposed to the dangers of possible encounters with the animals. Keep your binoculars and cameras at hand to get a glimpse of every animal around. Your driver/guide knows the best locations for sightings and it is recommended that you follow his instructions carefully. 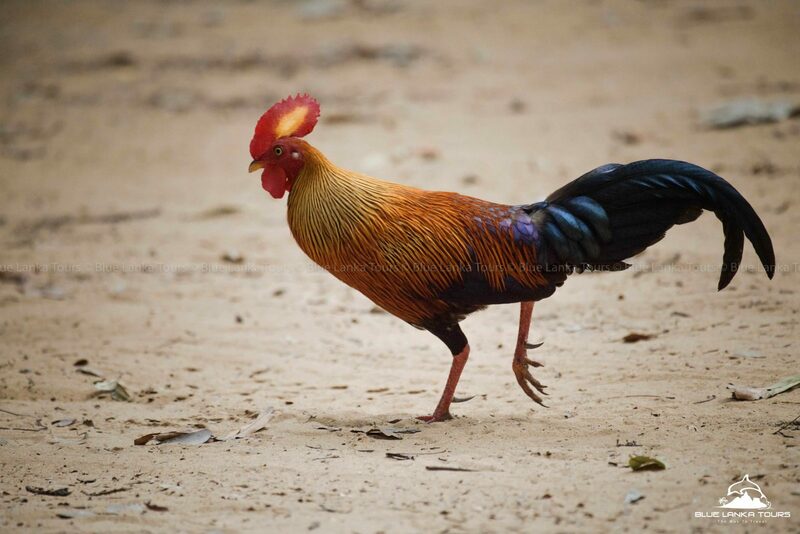 A wide range of animal and bird species can be discovered at Wilpattu. 31 species of mammals have been spotted. 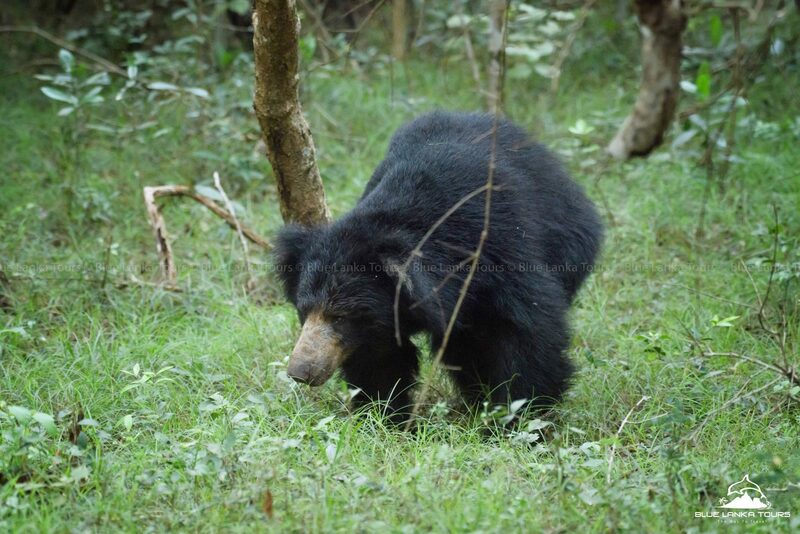 Some of these include – Sri Lankan elephant, sloth bear, leopard, water buffalo, jackal, barking deer, and spotted deer. 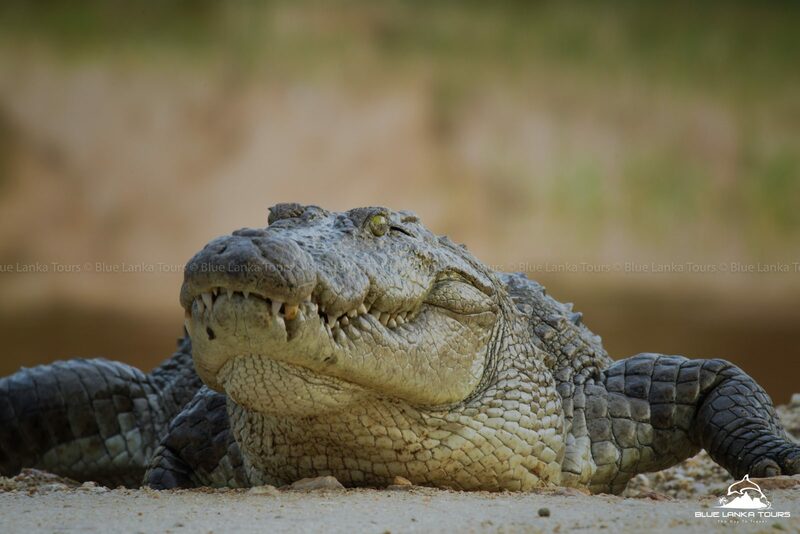 Rats, snakes, mugger crocodile, common cobra, pond turtle, shelled turtle and Indian python are a few ferocious reptiles that can be seen at Wilpattu. Some of the bird species seen here are garganey, whistling teal, large white egret, cattle egret, white ibis, pin tail, spoonbill and purple heron. 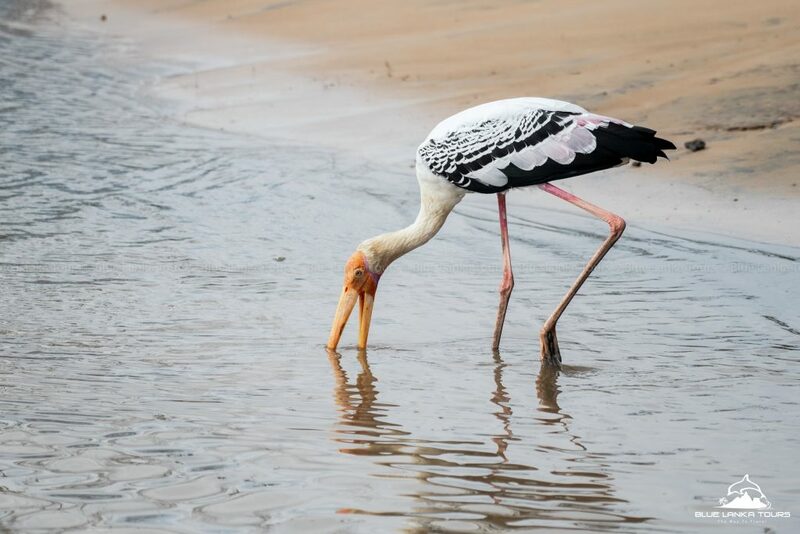 Because of its location in the dry zone, average temperatures at Wilpattu are centered at approximately 27 degrees Celsius while the average rainfall in the area is about 1000mm. With the dense forestation and beautiful lakes around the park, it hardly feels “dry”. One of the main reasons for this pleasant weather is the pattern of rainfall received in this region (from the 2 monsoons). September to December is when the north east monsoon falls on Wilpattu and this is the rainiest time of the year. The inter-monsoon season is in between March and April and the drought period occurs from May to early September. As mentioned before, the shallow rainwater filled lakes found at Wilpattu are the park’s special feature. These lakes vary in size from 2 to 400 hectares and are scattered throughout the park. “Periya Vila” is what the biggest of these lakes are called. The history of Wilpattu National Park and its surroundings date as far back as the arrival of Prince Vijaya from East India in 543 BC. Kudiramalai beach is supposed to be the exact point where Prince Vijaya landed first. Legend has it that Prince Vijaya stumbled upon Kuveni – Queen of the Yakkhas, when in search of human habitation in Sri Lanka. Kali Villu is a point en-route to Kudiramalai where you will come across a few stone structures. These ancient architectural remains are supposed to be those of Kuveni’s Palace. The terrain of Kudiramalai is a splendid sight indeed. The white sands in Wilpattu give way to lovely red sands of Kudiramalai. As you move in further, you will notice stunted vegetation while trees and shrubs are holding on to their lives in the face of forceful winds. A few clusters of grayish rock can be seen, surrounded by red pigmented rock formations which in turn collect large mounds, forming bigger hills – a sight which is not found anywhere else in Sri Lanka. Prince Saliya is another highlighted figure in the history of Wilpattu – about two thousand years ago. He forfeited his rights to the crown of Sri Lanka and lived with his wife named Asoka Mala at Galbendi Niyara and Wirandagoda – two locations in Wilpattu. Pomparippu is towards the west of the Wilpattu National Park, and here lies an ancient archaeological burial ground where many jars containing human remains have been discovered. These are believed to belong to people who existed prior to the arrival of Prince Vijaya in Sri Lanka. Pomparippu is also known for the sighting of elephants at any given time of day – much like Minneriya National Park. In East Wilpattu, there are remnants of breached tanks that are left over from agricultural systems that were present during the ancient Sinhalese civilizations. Remains of an old harbor are also found in between Palangaturai and Kollankanatte in Wilpattu. Here are a few accommodation options closest to Wilpattu National Park. 5 bedroom guest house located just a minute away from the park entrance. Covered with natural trees and surrounded with fresh air from neighboring paddy fields, the guest house attracts a lot of bird varieties. Air conditioning and hot water is provided, along with in house meals on request. This hotel is about 7kms away from the national park entrance. The hotel has 4 bedrooms with attached bathrooms, air conditioning and hot water. In house dining available on request along with picnic meals arranged for full day safaris. The Tree House in Wilpattu is a well-built wooden structure equipped with all the luxury amenities to provide a comfortable environment. Located right next to the Hunuwila tank, you get a feel of almost living inside the Wilpattu National Park. Stunning views from every angle and the sounds of birds, peacocks and monkeys waking you up every morning gives you an ultimate wildlife experience. Meals can be arranged in the room or as a picnic. Private bathrooms are attached with each room. Housekeeping, barbecue and other facilities are also available. With all basic facilities available, this is an ideal private bungalow for a group of friends or a family visiting Wilpattu and looking for accommodation close to the park. The bungalow has 4 bedrooms (2 double and 2 triples) with attached bathrooms, along with an open dormitory area equipped with 5 beds – hence accommodating a maximum of 15 people. An in-house cook is available who will prepare meals with the rations you provide. Located within walking distance of the National Park entrance, Wilpattu Safari Lodge provides 3 air conditioned bedrooms in a villa that can sleep a maximum of 12 people. Surrounded by lush greenery is a large compound that provides for parking and outdoor playing facilities. A cook is available to prepare meals with rations you provide. Re-live the ancient kingdom of Anuradhapura at Forest Rock Garden Hotel in true luxury style. The entire hotel – which includes chalets, a restaurant, an Ayurvedic spa and a meditation center – is built on stone boulders and cement pillars with an aim to save trees. The hotel design offers rich cultural heritage along with maximum closeness to nature. Forest Rock Garden Hotel serves only vegetarian cuisine as a mark of respect towards the harmony of nature. This modern and charming hotel consists of 50 rooms with incredible views of the ancient Kingdom of Anuradhapura. The cozy interiors, delicious meals and other facilities are provided with an aim to make your stay a comfortable one. Submerged within a 58 acre private property, Uga Ulagalla has 20 five star chalets surrounded by beautiful nature – organic gardens, manicured gardens, paddy fields, reservoirs and kumbuk trees. The hotel offers contemporary luxuries with a strong focus on ecology. Due to the massive size of the resort, golf buggies are used to transport you around. Each chalet is equipped with bicycles for you to explore the area on your own. A big swimming pool lined up with sun loungers, a spa and a gym is also available at the resort. The restaurant offers ‘destination dining’ services where you pick a spot anywhere on the property and your meal will be arranged privately for you. This 3 star hotel offers plenty of accommodation in colonial style rooms, equipped with all the modern amenities. The resort area was once a chena cultivation land, now a cleverly transformed landscape created with over 500 trees, each 20 feet high – providing a peaceful stay amidst beautiful nature. For absolute colonial class, opt for The Sanctuary at Tissawewa. The stylish rooms have all the mod facilities and the verandah is a peaceful place to relax overlooking lovely gardens dotted with teak and mahogany trees with a touch of peacocks and monkeys wandering about here and there. The restaurant at this hotel is one of the best in town – hence no complaints about the quality of food you will get. Experience rustic style luxury accommodation with Mahoora Tented Safari Camps in Wilpattu National Park. Save up on travel time, be the first in and last out during your game drives, and feel a part of the great outdoors by staying at the Mahoora campsite. Eight beautifully designed air conditioned chalets are included at this property along with attached bathrooms and all other luxury amenities to make your safari lodge stay a comfortable one. Enjoy a “journey through the wild” at Wilpattu Safari Camp. To provide the best possible holiday in Wilpattu, Ceylon Nature Trails Pvt Ltd. has designed a safari holiday experience for you with care and luxury comfort in mind.